2015 Busiest Year for Prima Uno! Prima Uno is nearing their third anniversary in September and this year has been the busiest with new clients, employees & projects growing nearly 200% since last July. Big announcements, collaborations and projects are on horizon for the team at Phoenix Court. A new specialist lab and an office refurbishment is currently underway to cope with the growth. Please keep an eye out on our media pages and website for the new announcements! New nuclear build is in the horizon – we are looking to grow our team! 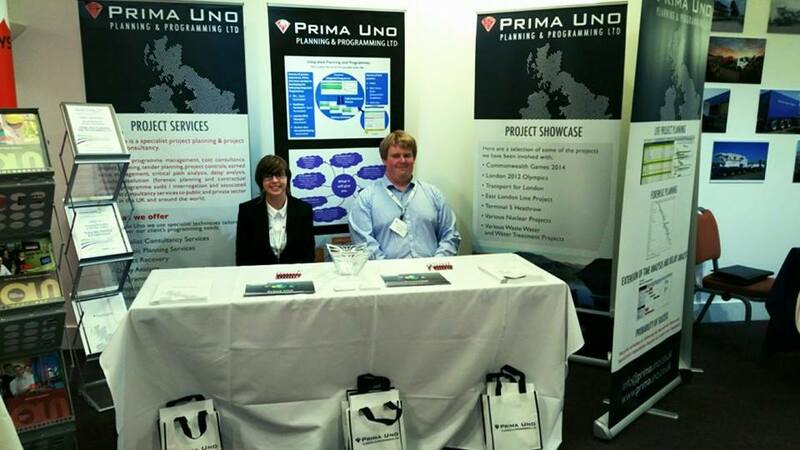 Prima Uno are looking for Senior/Lead Planners and Project Control Specialists to join their team in West Cumbria. 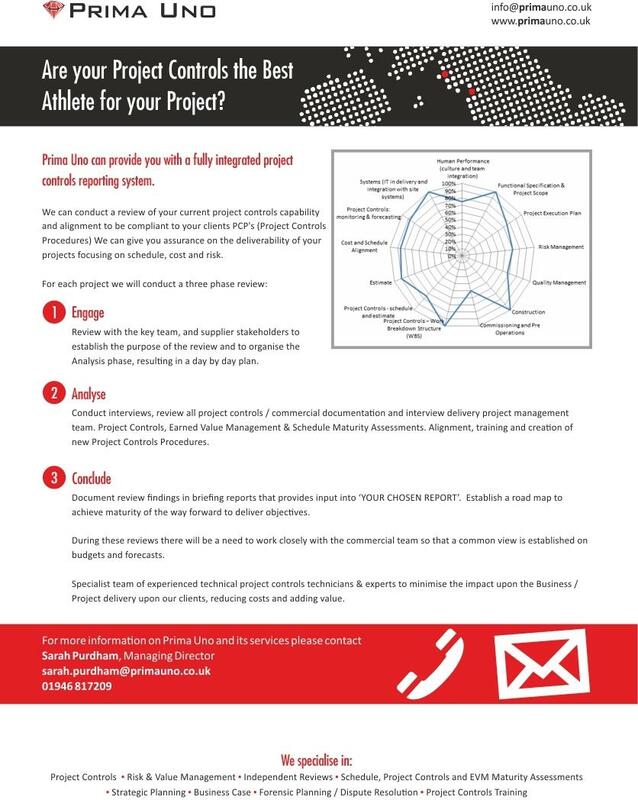 We have new projects commencing in West Cumbria and Warrington. Please email your CV’s to amy.edwards@primauno.co.uk! Projects commencing in the next month. Photos from game day yesterday. 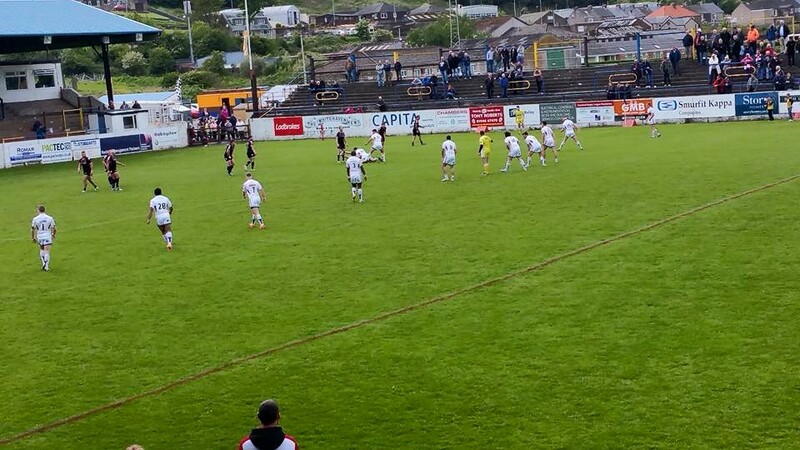 Whitehaven v Leigh, proud to sponsor our local team! 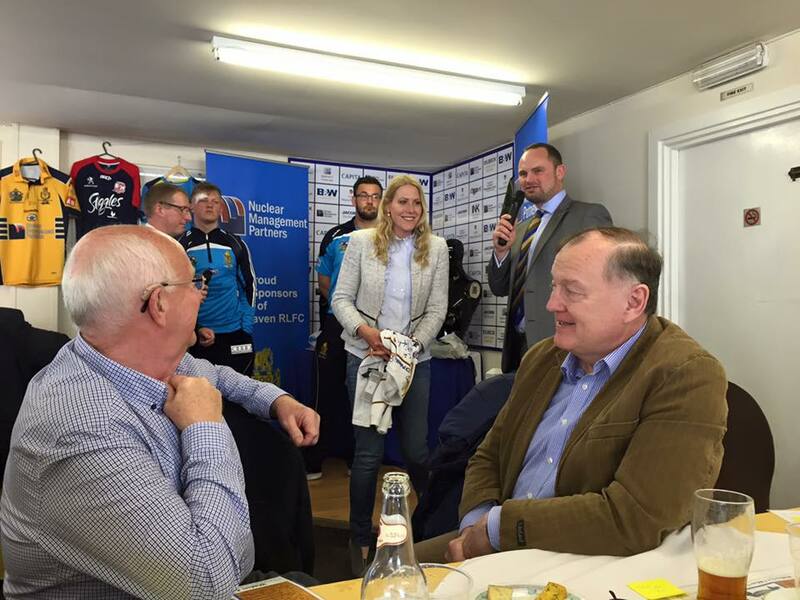 Prima Uno to sponsor the Whitehaven RLFC vs Leigh Centurions Match! 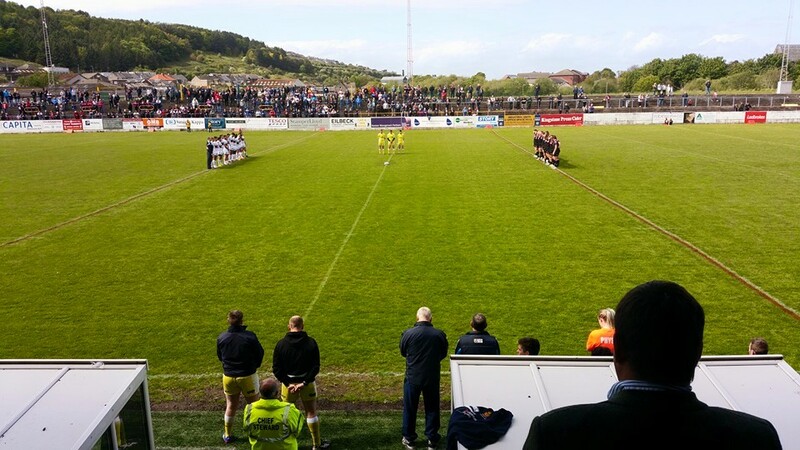 Prima Uno are delighted to be match sponsors for the Whitehaven RLFC vs Leigh Centurions match on Sunday 31st May. 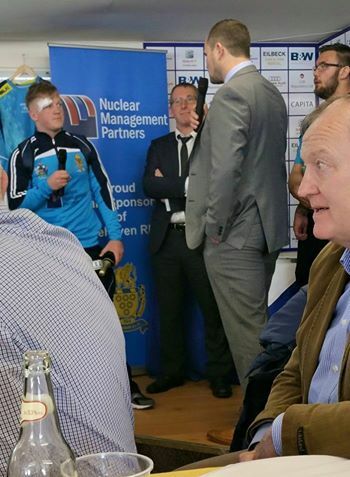 We are proud to sponsor our local team and keen start a relationship with local West Cumbrian teams. 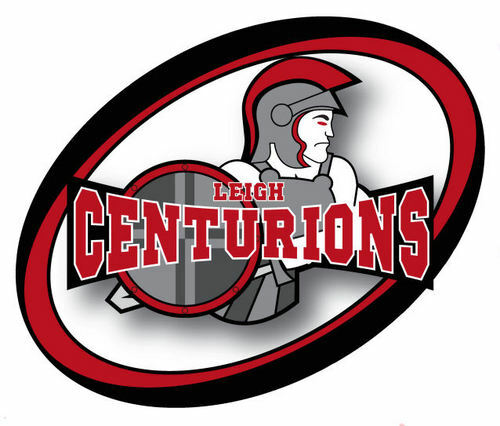 We have invited our clients and employees to be part of great day of rugby league. Independent review of procedures and process’s, capability and project performance. Using only top professionals gathered from all business sectors Prima Uno guarantees quality, right first time services to all its clients. Prima Uno is a privately owned West Cumbrian based SME and successfully delivers varying services and scopes of work for all its clients without the use of subcontractors. Prima Uno gain Cyber Essentials Certification! Prima Uno have now passed the verification for Cyber Essentials Certification! 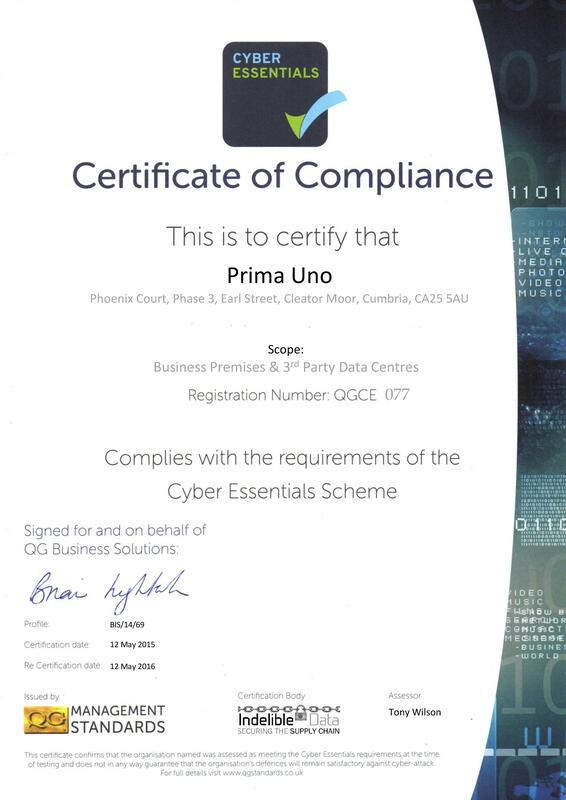 Prima Uno has now completed the self-assessment against the Cyber Essentials Standard assisted by David Allen IT, Indelible Data & QG Management Standards. 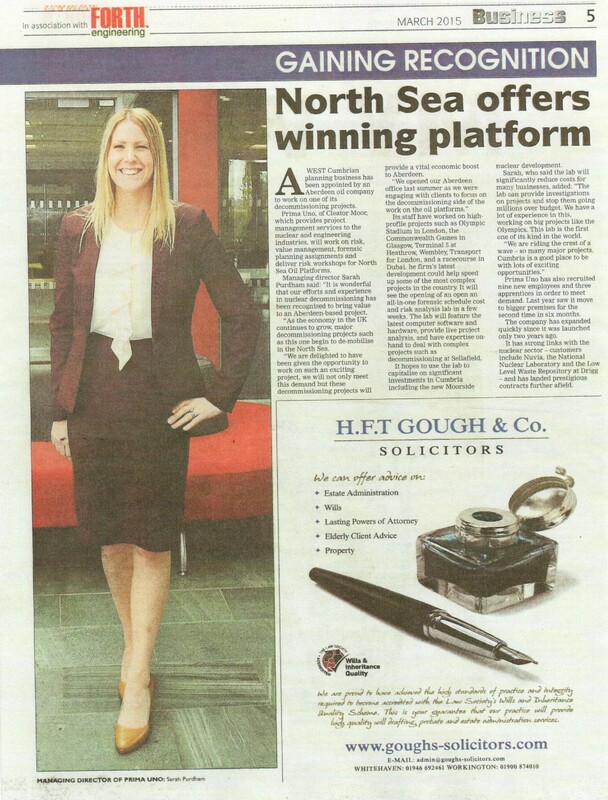 This has come from collaboration and introduction by the Britain’s Energy Coast Business Cluster. Sarah Purdham Prima Uno Managing Director “We needed to demonstrate and implement controls, policies and procedures to demonstrate to our partners and clients that we take the security of their data seriously – helping to secure our place in the supply chain. 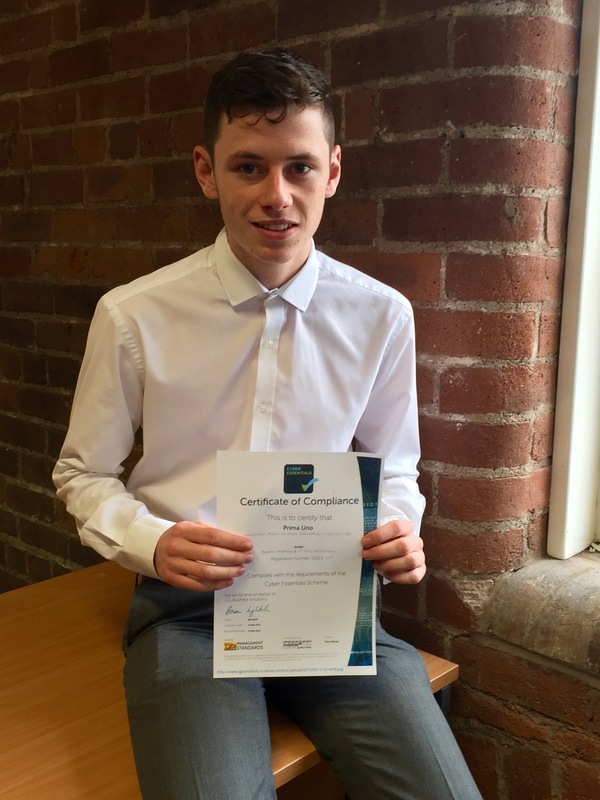 Jack Mitchell one of our IT Apprentices who started with us January led and delivered this project. Jack worked alongside Gary Martin of David Allen IT. I am incredibly proud of Jack who went the extra mile and facilitated us gaining this certification. Gaining this accreditation was a prerequisite of some major new Framework Contracts we have recently won in the UK. 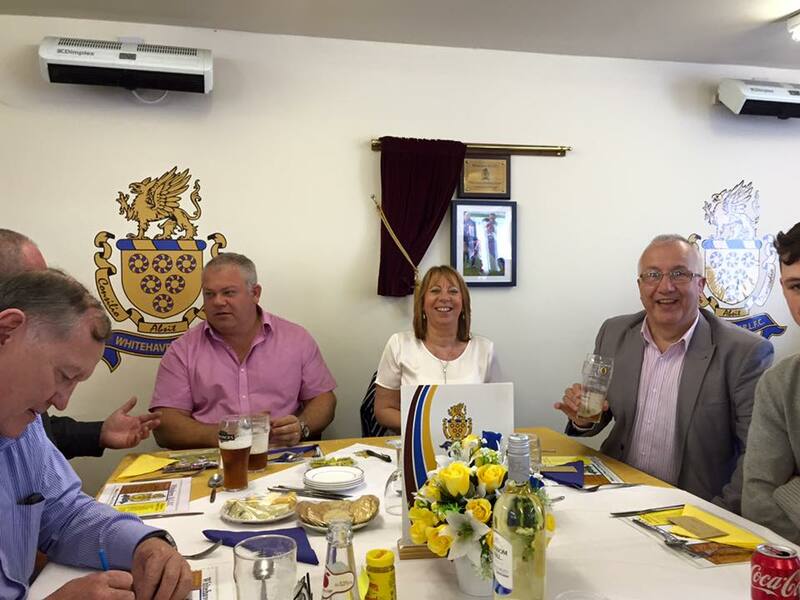 This another excellent example of the work that BECBC does in introducing local businesses to engage in work with one another. Tony & Brian were Winners of the BECBC 2014 Innovation Award, Indelible Data offers Cyber Security Security Consulting and ISO 27001 ISMS Auditing Services. They are the only Cumbrian based Certification Body for the government’s Cyber Essentials scheme and focus on the Energy and Decommissioning supply chain. 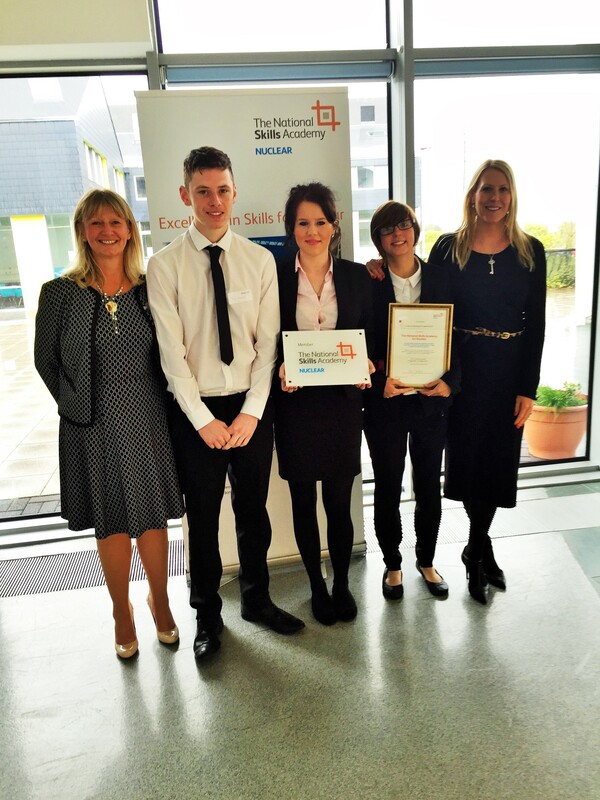 Prima Uno join the National Skills Academy for Nuclear! Prima Uno is now a member of The National Skills Academy for Nuclear – the lead strategic body that represents the industry to stimulate, coordinate and enable excellence in skills to support the Nuclear Programme. Sarah Purdham MD of Prima Uno, stated “We are delighted that they have recently joined the National Skills Academy for Nuclear. Joining NSAN will assist in continuing to grow and further develop our staff and younger employees. This is another step in us developing and promoting world class skills and a sustainable career pathway for the employees of Prima Uno”. 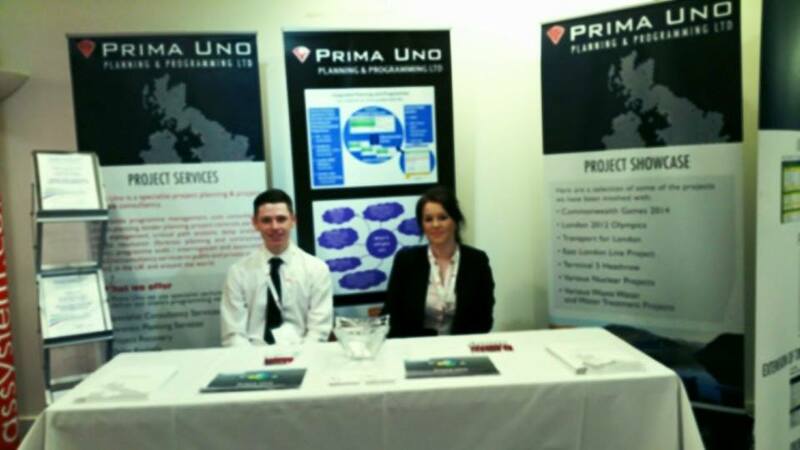 Prima Uno are offering a unique summer work experience this year to local students which will give a great insight into the project controls, nuclear and civil industry. There will be a week’s work experience in the first week of July and also the last week in August. Students must apply via the info@primauno.co.uk address with their CV’s and also stating why they would like to benefit from this work experience. Winners will be selected at random from an independent person not connected to Prima Uno. 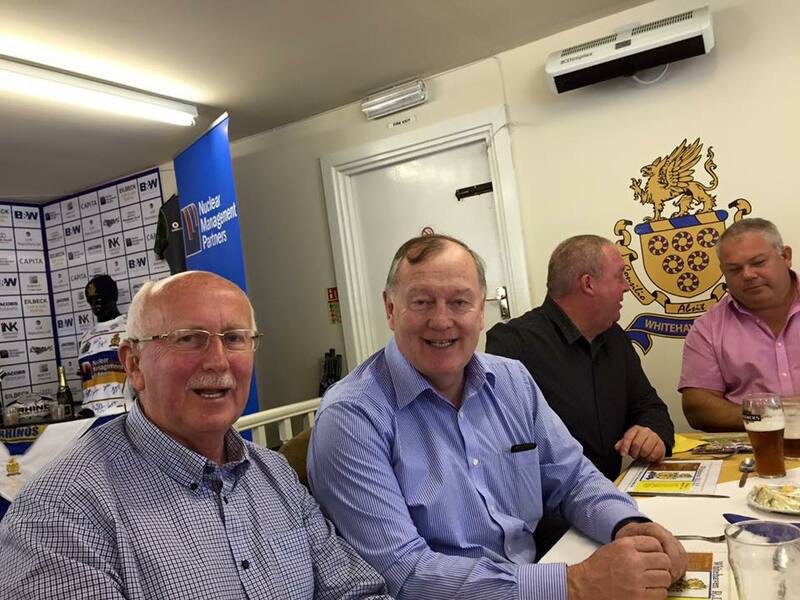 Brilliant day out at the LLWR Forum. Prima Uno Announce the appointment of a new Strategic Business Director! 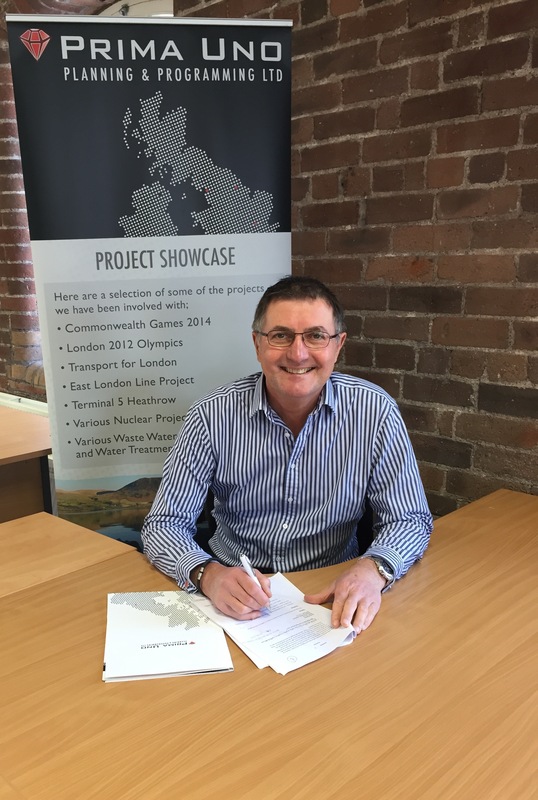 Prima Uno the specialist Project Controls, Risk and Forensic Planning, Consultancy (a BECBC member), has announced that Harry Strong has joined the Board of Directors of the West Cumbrian based team. He will take up the role of Strategic Business Director with a primary goal of driving towards the Company’s medium and long term growth targets. Harry was first introduced to Sarah through the NDA’s SME Mentor Scheme and they have been working together for almost a year developing the basic building blocks of a stretching two year business plan. Sarah sees the NDA’s SME Mentoring Scheme as hugely successful and would encourage any emerging SMEs that are seeking to work across the NDA Estate to enrol now for the second intake of the scheme. Bill Sanderson completes the three person management team, and together they feel that they possess all the capabilities needed to provide project controls and programme management support to a range of Clients in all business sectors. Since Prima Uno was established in 2012, its main aim has been to grow the business into a nationally respected specialist consultancy. Alongside this ambition Managing Director Sarah Purdham also wanted to set up a ‘Centre of Excellence’, enabling more people in West Cumbria to become nationally respected Project Control specialists.